visit the Funkyard Festival website. Our Community Building Blocks (CBB) program distributes free building materials to nonprofits, schools, volunteer groups, and others making a positive impact on the region. University of Maryland students often come to us for help with their service learning and volunteer projects. 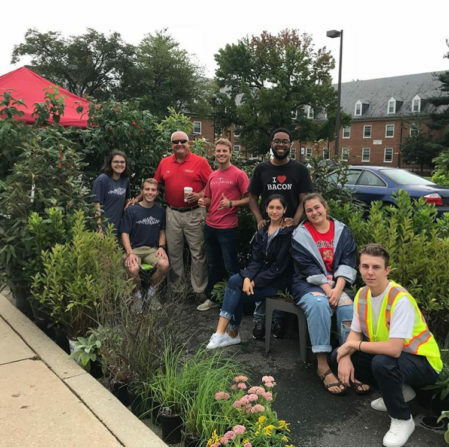 This year UMD student groups, College Park Scholars Public Leadership Program, and Student Chapter of the American Society of Landscape Architecture (SASLA) worked on separate projects at the university to help clean up the campus. Check out the video and pictures of their projects using materials from Community Forklift. 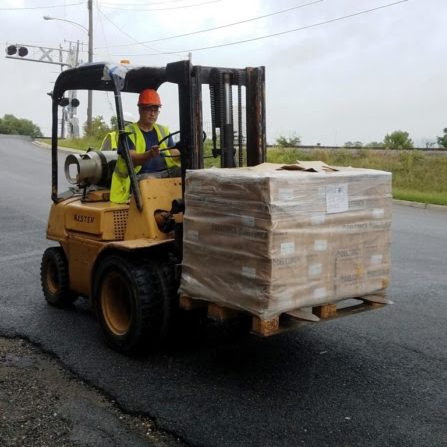 Community Forklift regularly receives donations of new tile from business partners throughout the region. 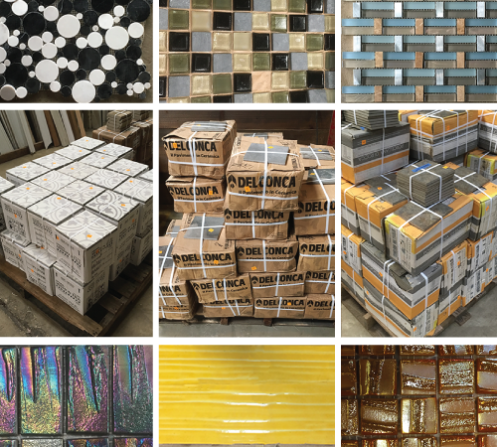 We recently received more than a dozen pallets of new designer tile, and are expecting 40 more pallets soon. Just one of many pallets of designer tile making their way to the floor this week. We’ll be putting out new tile weekly for huge savings throughout the fall! 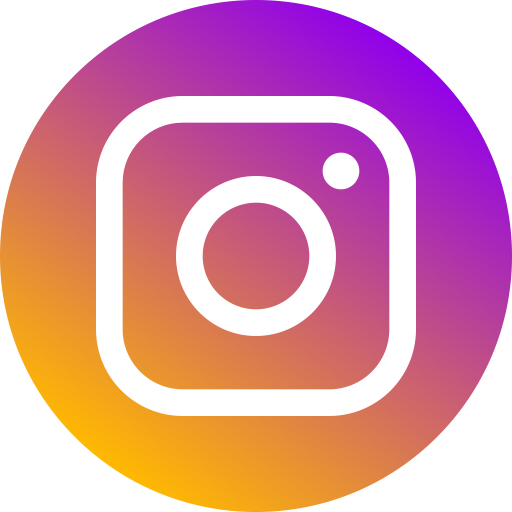 We have dichroic and metallic glass mosaic with bronze, gold, silver, and blue highlights as well as porcelain, marble, high traffic stoneware floor-tile, decorative and prints, and (literally) tons more! If you have a project you’ve been putting off, now is the time to stock up and get started. 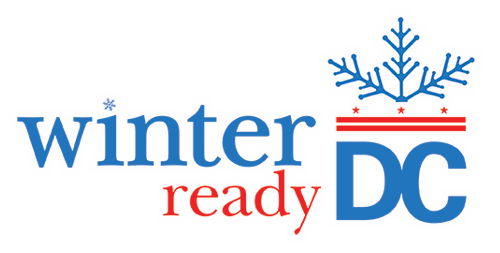 To help District residents prepare for cold weather and winter energy bills, the DC Public Service Commission is hosting their annual Winter Ready event. 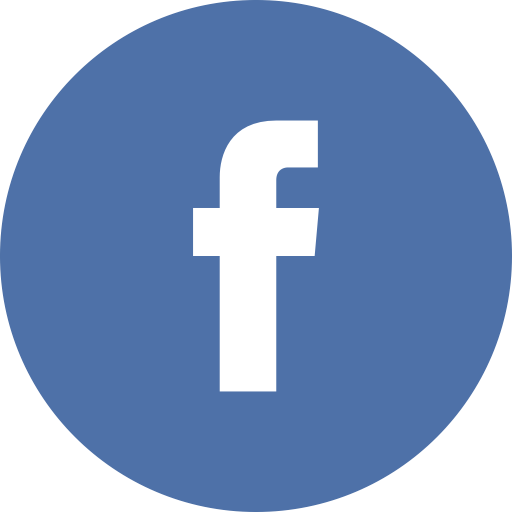 Become a resource for your neighbors! Learn about resources and programs available for your community, and pick up practical tips to prepare for winter. Visit the DCPS website to register. 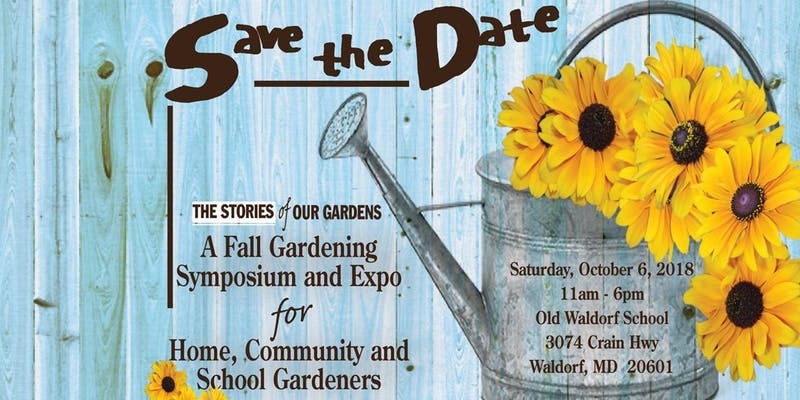 Local Master Gardener Linda Jones often teaches short workshops at Forklift, but next month you can absorb her knowledge at an all-day symposium including group roundtable discussions, hands-on workshops, and more. 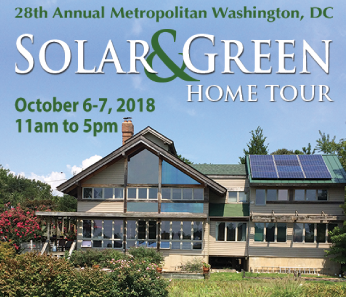 Join the 28th Annual Tour of Solar and Green Homes in the Metro DC area, October 6 & 7 from 11-5 PM each day. Over 40 solar homes will welcome visitors on one or both days. Visit www.solartour.org to learn more. The 37th Annual Takoma Park Street Festival will once again host a talented mix of local artists, non-profits, companies, and a variety of food vendors. 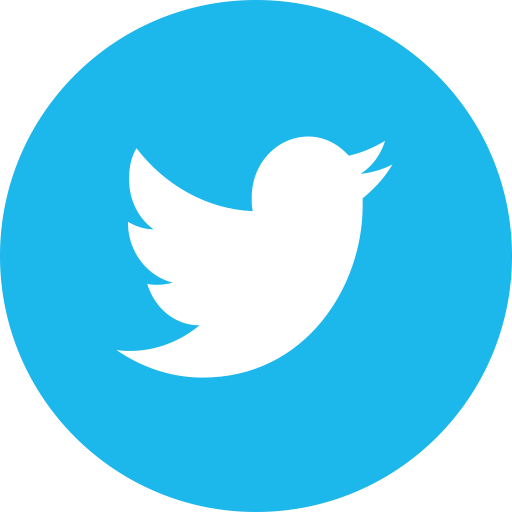 , Takoma’s indie businesses will also be open for the day. Kids love the festival with crafts, face painting, inflatables and FUN! Visit www.mainstreettakoma.org to learn more. 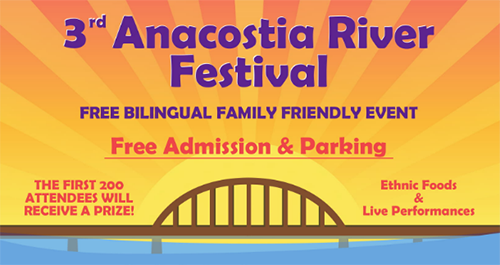 The bi-lingual Festival del Rio Anacostia takes place at Bladensberg Waterfront Park. 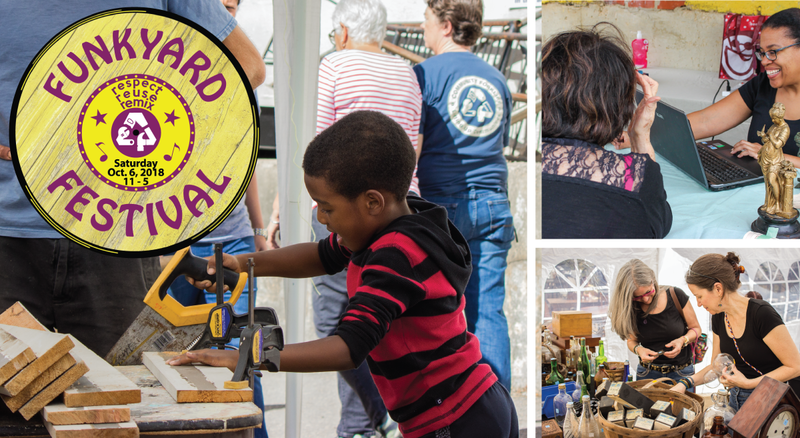 The festival is a fun-filled day of boat rides, fishing, nature walks, and workshops about cleaning and restoration of the Anacostia River and its watershed. Be a builder for the day at the Big Build community day. Amateur builders of all ages can discover what it’s like to don a hard hat, pour cement, spackle a wall, and much more as you work side-by-side with architects, designers, builders, and artisans demonstrating their skills. Meet contractors, plumbers, electricians, iron workers, landscape architects, woodworkers, and experts in many other fields to learn about their professions and hobbies. 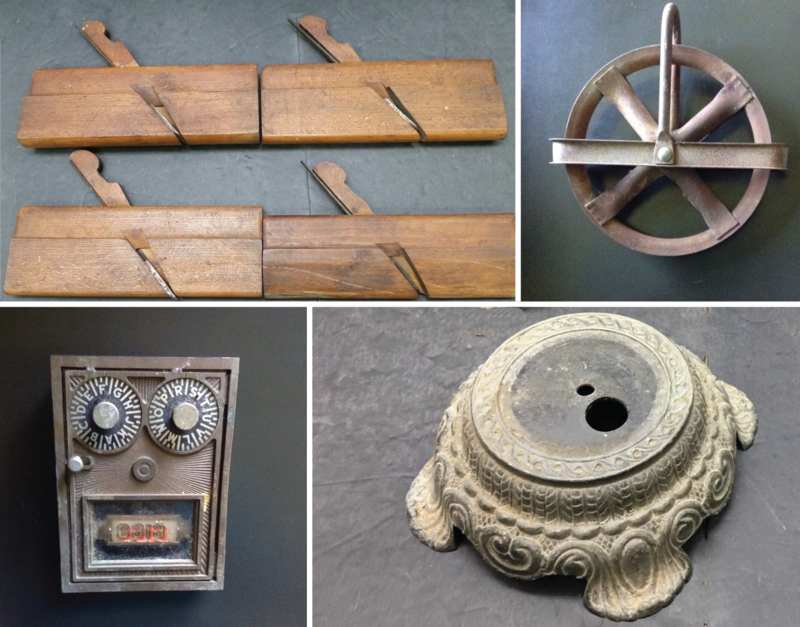 Certain vintage and specialty items, from high-end furniture and appliances to antique hardware, are only available in our online stores. Plus, it’s the perfect way to share your Forklift finds with far away friends and family! Don’t miss out on the wide variety of items that we have listed on eBay, Etsy, and Chairish.